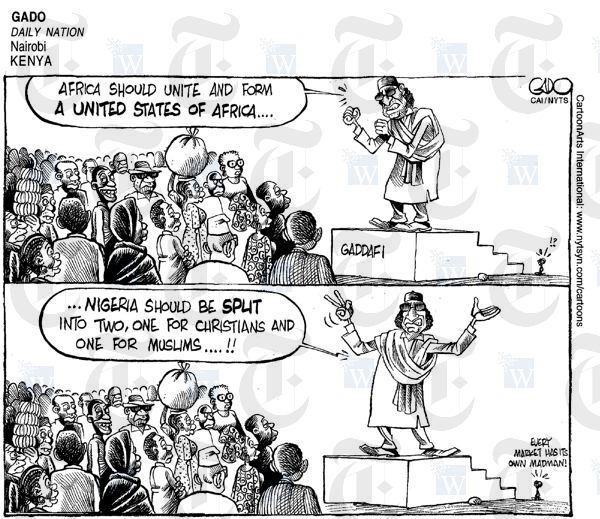 On Sunday March 21st, the Nigerian newspaper NEXT featured the above cartoon by Tanzania’s very own Gado. It is quite exciting to see the glimmers of continental integration that this cartoon syndication shows – a Tanzanian cartoonist, working for a Kenyan media house being published in a Nigerian newspaper. A less remarkable but equally satisfying report was published in two Nigerian newspapers on March 24, 2010. The article is about the growth of the equipment leasing business in Nigeria since 1996. Serengeti Advisers did the research that informed the article and witnessed the House Commerce Committee hearing on a Leasing Bill that quoted, approvingly, from the article. So, I get to the airport this morning at 6.30am for an 11.30am flight because no cars are allowed to move in Lagos between 7 and 10am on the last Saturday of each month. Why? They are cleaning the city up, and everyone is supposed to pitch in. Lagos and Rwanda as kindred spirits? Who’d have thought it. Anyway, the East African invasion of Nigeria manifested itself in a bank advert. Skye Bank one of Nigeria’s major banks, is using the tag line…wait for it…Hakuna Matata! That made me smile all the way across the waist of this wonderful continent.